My Personal Warrior, the hopeful first in an ongoing trilogy, is a tribute to my hero – the love of my life – and our combined heritage as conveyed through this striking illustration created by Yours Truly, Wisdom Tucker with the help of my new favorite artist, C.Layton. 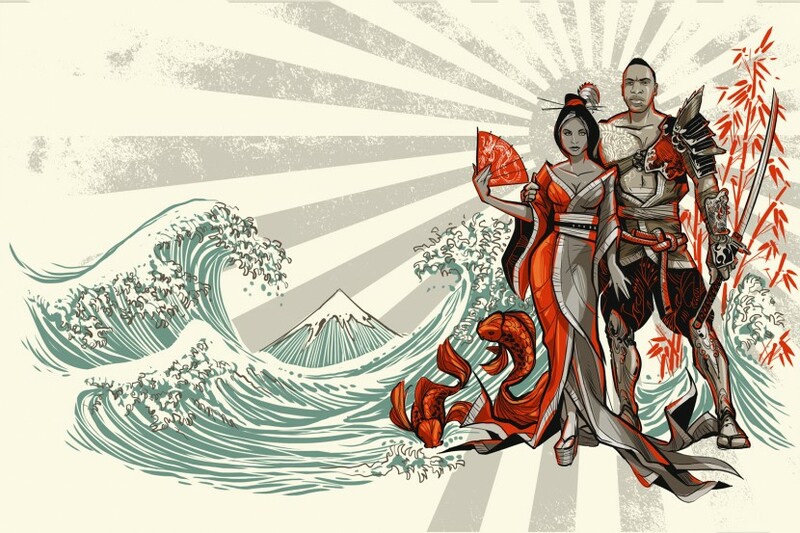 My Personal Warrior was illustrated in an Asian inspired style heavily-saturated in Western-slash-Anime-slash-tattoo styled strokes and methods. I wanted to do something that had the feel of Asian art with a modern interpretation and the softness of water color on rice paper, but boldly graphic. 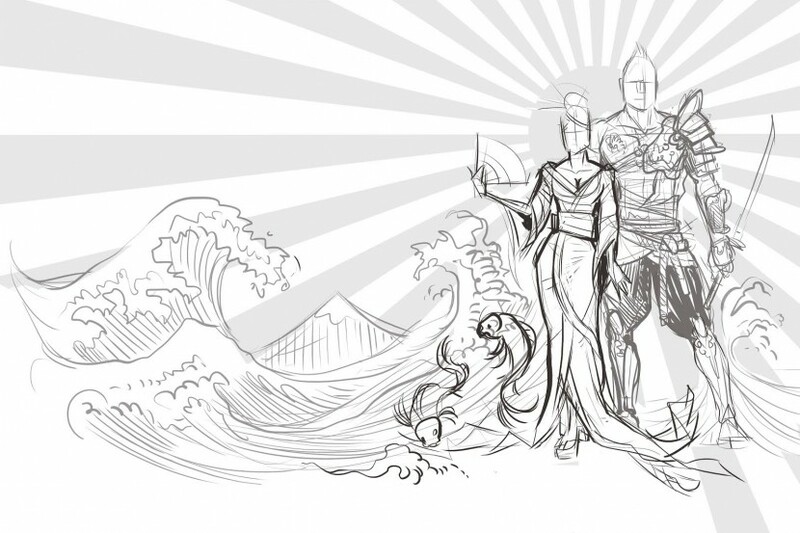 Oh, and I wanted to make a Black Samurai and Geisha warrior couple. 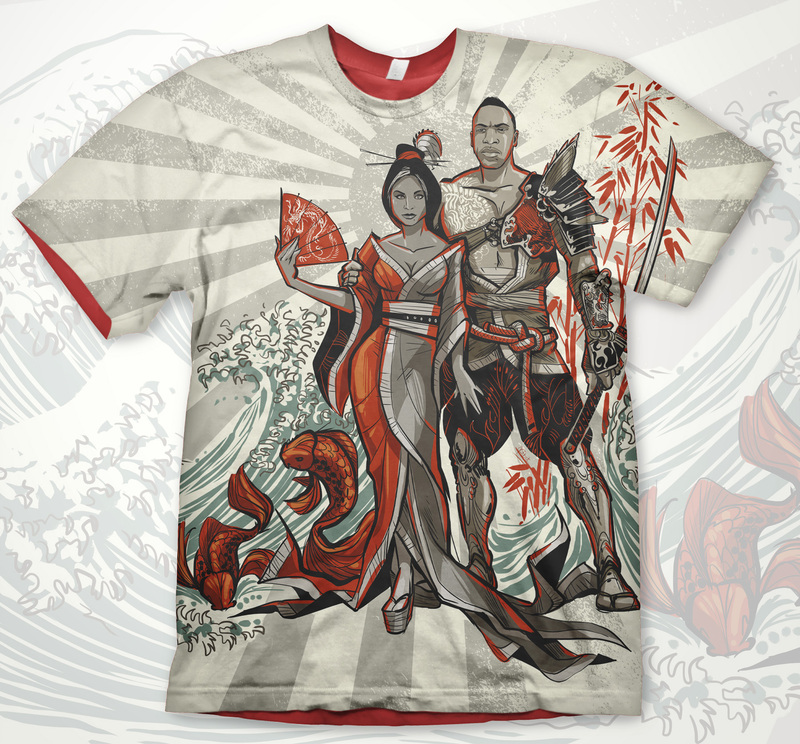 Who doesn’t love a Black Samurai and Geisha! 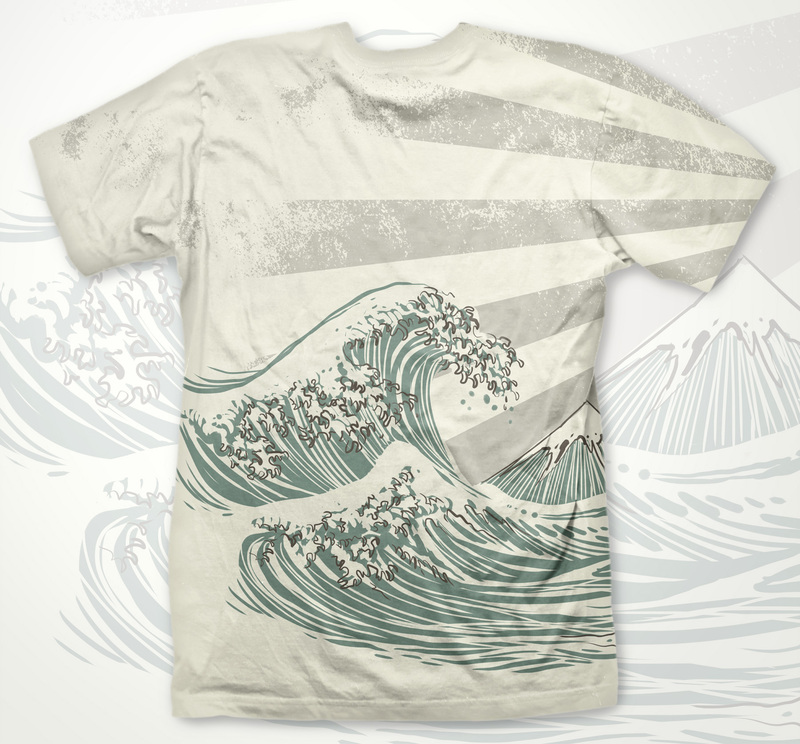 Illustration was digitized and then sublimated on premium poly-cotton blend t-shirts and presented as a gift for the warrior in my life. A fun spin on iconic Asian Waves and beloved Samurais and Geishas, this personal gift proved portfolio-worthy. Check out the before and after by dragging the slider below!